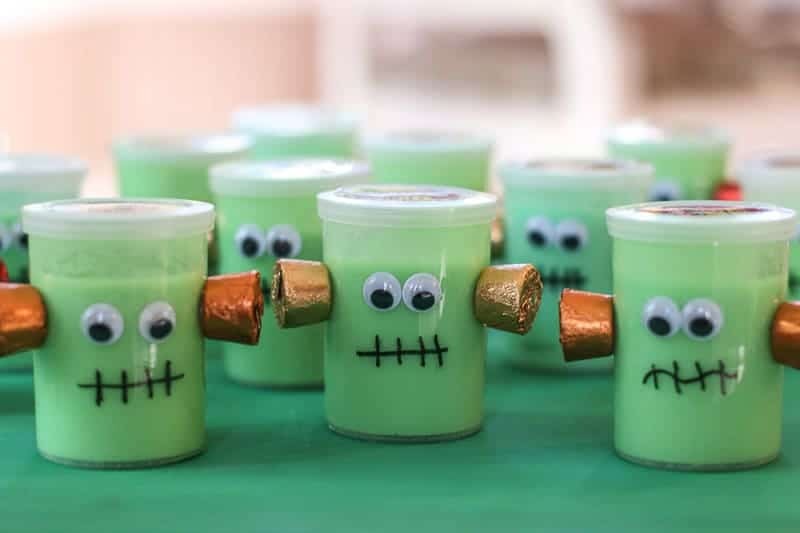 Learn how to make these cute Halloween Frankenstein Classmate Gift. 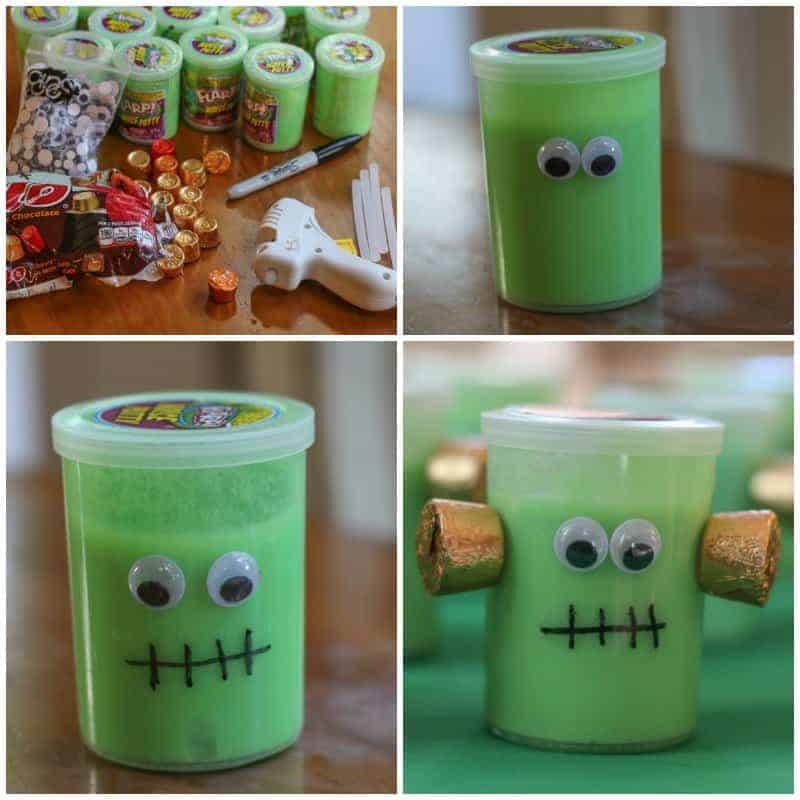 This Halloween Frankenstein Classmate Gift is quick and easy to put together. They are sure to bring a smile to child’s face and make a memorable impression. I love Halloween, don’t you. It is such a great time to get creative. Check out this little Halloween Classroom Gift I made for my mother’s class. Is it not precious? 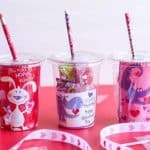 If you read my DIY Valentine’s Day Gift for Classmates or my DIY Easter Bunny Gift Bags, you know I am always trying to make something special for my mother’s students. She teaches elementary and I just love her students. 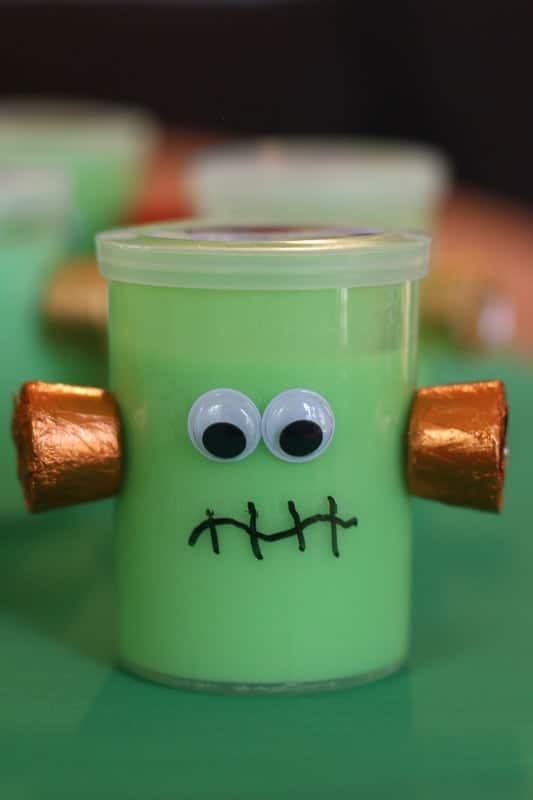 These little Halloween Frankenstein Classmate Gifts are easy to make. You will need covered Rolos, a sharpie…. if you are scared of the noise putty. 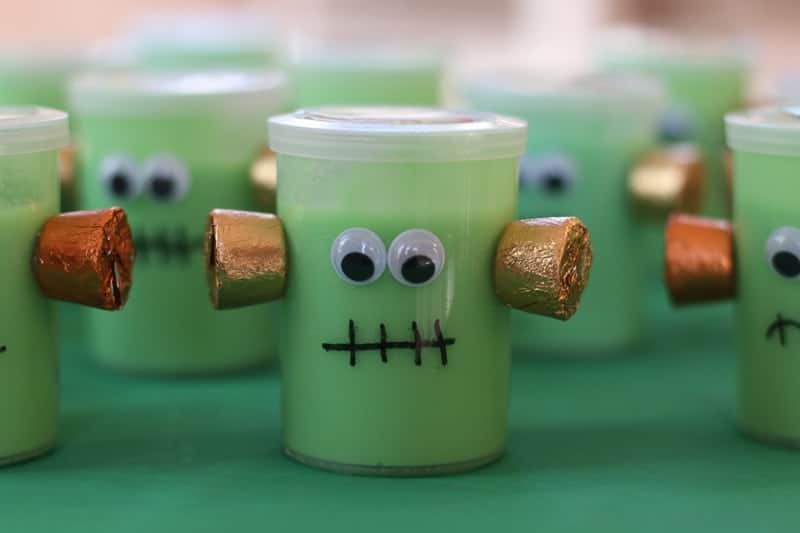 The Flarp was the perfect green, and let’s face it, kids like noise making putty…..
As you can see these little Frankenstein Halloween Favors are easy to make. Just stick on the eyes, draw the mouth, and hot glue the rolos. (My favorite childhood candy, by the way!). I can’t wait to give these to my mother’s students. I know they will love these. It brings me so much joy to see their faces light up with a big smile. I had so much fun making these. Other than maybe helping them with the glue gun, this project is easy to make with your own small children. 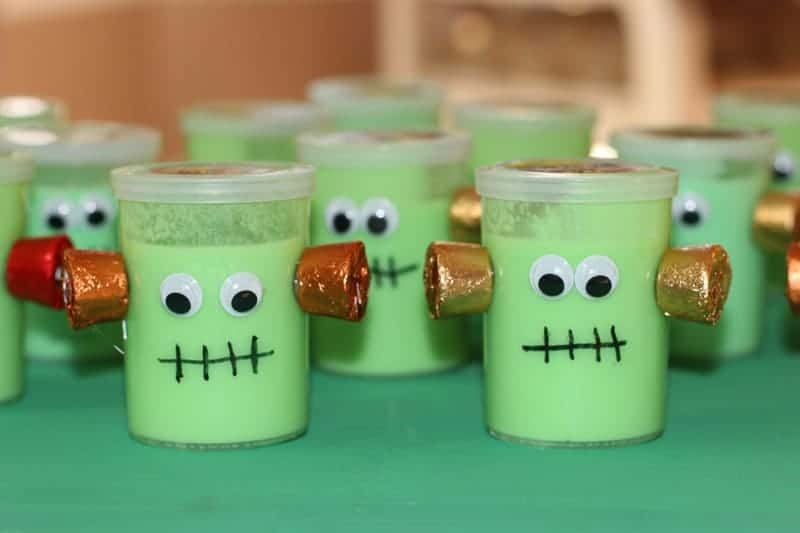 The more crooked the smile, the more funny these little guys look, so no worries about making these perfect. Have a Happy Halloween! xoxo!